Queuing. When the average person sees a queue of more than six people, they are unlikely to join it, unless they have to. They are equally unlikely to leave it, no matter how long they have been standing there, if there are more than six people behind them. But if they are standing in a short queue for longer than five minutes and 54 seconds, then they will give up and go somewhere else. Maybe your competitor. This is the research recently revealed by Professor Adrian Furnham in a study commissioned by Privilege Home Insurance. It is also the tip of the retail iceberg. From managing queue density, the scents that entice, the store fronts that are designed to attract the right markets, to video cameras and footfall measurement solutions that determine which times of day and which areas of the store attract the most customers, technology is pivotal to success in a very complex market. Technology should always be routed in customer centricity - always keep your customer at the centre of all your designs and decisions. A recent analysis undertaken by Capgemini showed that the retail market is under enormous pressure. The rising cost of inflation, the sombre economy, the consumer's commitment to cutting costs - these are just some of the factors influencing the market globally. Locally, there is little doubt left in the minds of customer and business as to the financial impact of the VAT increase on the average consumer. Costs, costs and more costs. This is further impacted by the ongoing rise of the online giant. While Amazon may not have hit African shores yet, the local market is seeing a rise in customer adoption of online shopping. Spree has predicted that total retail sales will see an exponential shift towards online over the next few years, hitting 4% in 2021 from today's 1%. Another report released by Euromonitor International has predicted that internet retailing will become a larger channel than traditional grocery retail and that this will grow by 73% by 2022. That the internet is transforming bricks and mortar retail is not a surprise. But what may be surprising is that out of the top five retailers in the world, three are now internet retailers. Amazon and Alibaba are the obvious leaders, but JD.com has been gobbling up attention and market share to hit the top global five in 2017. It may well be that in another year or two, the list of those that have walls firmly planted on the ground will be significantly less. Although investing in these technologies ensures survival, it also makes the ecosystem more complicated. It's a troubling trend that has seen some of the world's most famous retailers, like Toys R Us, die painful deaths as their scrabble to gain lost ground failed. It is a trend that isn't going to bypass South Africa either. This is the future that faces the retailer that isn't prepared to innovate, invent and change. And it is one that can be changed through the judicious use of technology. The Deloitte report 'Global Powers of Retailing 2018', notes that the 'shopper is in the driver's seat, enabled by technology to remain constantly connected and more empowered than ever before to drive changes in shopping behaviour'. They want to shop wherever, however and whenever they want. The same report found that digital interactions influenced 56 cents of every dollar spent in a bricks and mortar store. These results only further serve to underscore the importance of embracing the omnichannel and using technology to create holistic consumer experiences that redefine engagement and loyalty. If ever there was a time to cut away those all-important seconds from the queue, it's now. Brainstorm: How can retailers use technology to redefine and reshape customer experiences? Paula Sartini, founder and CEO of BrandQuantum: Locally, there is a disconnect between the in-store experience and the online experience, and this is mainly because retailers have tagged online onto their existing offering. They should work backwards from the online experience to deliver an experience according to their customer expectations and even exceed these to successfully compete. Technology can ensure a consistency of experience that is not possible through human intervention. Prof. Adre Schreuder, Consulta: I think technology has proven to be massively beneficial to both buyer and seller if implemented correctly. It ultimately comes down to knowing the needs of your clients and if technology is an appropriate solution in this regard. We are a very diverse country, so businesses always need to consider that there might not be a one-size-fits-all solution. Customisation is king. R'ean van Niekerk, MD, Metacom: Technology does not have to be complicated. Use technology creatively to enhance every aspect of the in-store experience, from the window display through to the check-out experience. While online provides the platform for search and selection, the fact remains that it is the physical store that dominates the volumes of actual transactions. It's no secret why successful e-commerce retailers are turning to bricks and mortar to personalise the overall experience. Vincent Lanz, MD, Quattro Management Systems: Technology only has value if it improves the lived experience of customers. The buzzword is experiential retail. In today's retail stores, you probably have two broad types of IT tech: transactional and experiential. Retailers are normally quite good at maintaining the transactional infrastructure (points of sale) as they certainly do not want to interrupt the flow of funds and customers. I think it is safe to say that there is very little experience to be had inside stores and that creates massive opportunities for interactive tech to bring experiential retail to its full potential. Brainstorm: What technologies should the retail sector use to create efficiencies? Scott Orton, regional sales director for Gauteng, Activate Group: Using technology such as photo recognition software, retailers can improve efficiencies and achieve cost savings by reducing the time merchandisers spend in their stores, have fuller shelves and know how long their staff spends packing shelves and areas of stores. All of this adds up to better efficiency and cost savings. Prof Adre Schreuder, Consulta: Technology should always be routed in customer centricity - always keep your customer at the centre of all your designs and decisions. Most South Africans are very resistant to change, so whatever route retailers take in implementing technology should be done with the aim of enhancing existing customer experiences and not necessarily completely redefining them. Vino Govender, acting chief strategy officer, DFA: Supply chain is one of the key areas where considerable operational and cost-efficiencies can be realised through technology. AI-driven forecasting solutions continue to learn and significantly improve inventory and resource requirements at store level. This has a significant impact since it supports close to just-in-time forecasting, leading to increased levels of working capital and operational efficiencies. Roy Alves, sales director Africa, Axis: Footfall is essential for retail as you can count the transactions on the till and see people engaging with the store. Video is also a powerful tool alongside queue management. Studies keep showing that if people queue for too long or don't enjoy their experience, they just go to a competitor's store. These technologies can change their experiences. Brainstorm: What is the long-term value of investing into these tools and technologies? Gareth Hawkey, Group CEO, redPanda Software: Although investing in these technologies ensures survival, it also makes the ecosystem more complicated. It adds cost to their bottom line, but this investment and change in focus to improving the customer experience will create a compelling reason for customers to enter your store. That is going to be the end result of the investment. 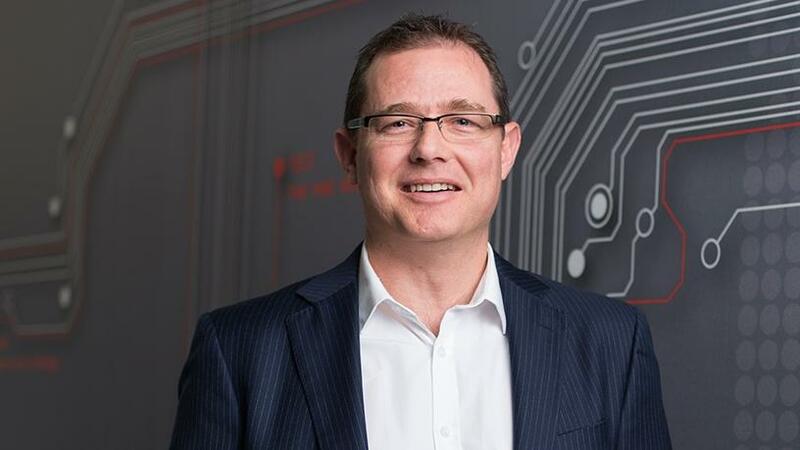 Paul McKane, industry value advisor: Consumer Industries at SAP Africa: Retailers that are now becoming intelligent enterprises, by applying technology such as IoT, AI and advanced analytics, etc., can transform into event-driven businesses. Event-driven businesses automate repetitive tasks, enable employees to focus on higher-value tasks, and invent new business models and revenue streams by monetising data-driven capabilities and applying core competencies in new ways. Sebastian Isaac, business development manager, Rectron: The long-term value for embracing this kind of technology is that retailers will remain relevant. I do not think online is a threat to traditional retail yet - especially in South Africa - but retailers should be using the digital tools that are attracting people to online and apply these to benefit their traditional businesses. There are long-time online e-tailers that are now investing in brick and mortar. Brick and mortar shops are investing in online. There has to be a synergistic relationship between the two. From bricks to clicks, technology is the driving force behind the transformation of the retail experience. Technology has fundamentally changed how customers engage with the retail market. Online shopping experiences, omnichannel solutions and personalisation have shifted the goal posts, moved the benchmarks and toppled retail empires. It is also technology that's putting power back into the retailer's hands, granting them an all-access pass into customer minds and a deeper understanding of the nuances of customer behaviour, operational efficiencies and strategic planning. Forrester, in its report 'Masters of the Top Four Retail Tech Trends', revealed that retailer success hinges on investment into technology that makes them better at retailing rather than better at innovating. It also underscored the importance of personalisation, omnichannel strategies, analytics and digital in refining customer experiences and operational capabilities. This research is supported by a study undertaken by Google in 2015 that found 82% of smartphone users check their phones before they buy anything in-store. The majority aren't committed to a specific brand when they start their shopping research, nor are they committed to a specific store - their purchasing decisions are shaped by access to information and the simplicity of the experience. "Retailers are using technology to create a more seamless experience between in-store and online channels," says Michael Renzon, CEO of inQuba. "Leading retailers are shifting their value proposition from shop and go to more immersive experiences. Customers who are increasingly connected online are also seeking more experienced-based retail through the tangible store environment." For those retailers paying attention to how technology can help rather than hinder, their investment is creating an evolving value proposition that augments the customer experience. Progressive retailers are using both traditional and emerging technologies to enhance how people engage and reshape brand perceptions. The Forrester report points out that, while there is 'no silver bullet for winning the loyalty of every potential customer', smart investment into commerce technology can add significant value to the customer journey. Paula Sartini, founder and CEO of BrandQuantum, adds: "Consumers have come to expect that retailers understand their needs and even pre-empt them based on prior buying patterns and behaviours. Whether in a physical store or transacting through online platforms and apps, consumers expect the same level of service, convenience and understanding of their needs. By understanding what customers want and what is most important to them, you can deliver a differentiated offering that meets expectations." Data and analytics solutions have evolved to a point where they can provide the industry with insights that make a significant difference to how they interact with customers or design store layouts. A case in point is McDonald's. The company thought that its customers wanted healthy salads and wraps. It was a thought that would cost the company around 500 million orders according to an interview in The Wall Street Journal. The chain was chasing the wrong market. Its customers wanted Big Macs and chips and milkshakes and all the accoutrements of a fast food experience. They wanted a treat. So, McDonald's went back to its roots - a strategy designed to talk to the right customers in the right way, a strategy that worked. In January, the firm announced that it was about to open around 1 000 new restaurants while investing in technology that improves customer experiences and digital engagement. "Retail needs more data in order to be more efficient," says Scott Orton, regional sales director, Activate Group. "To know where the problem areas are or what the potentials are, they need real analytical data into elements such as how many people come through the door, what time of day is busiest, what areas are the most interesting and where people are spending time, how to keep people in the store." Of course, there's no getting away from the potential value added by emerging technologies such as augmented reality (AR) and virtual reality (VR). Ikea has already climbed aboard this train. In 2017, the furniture giant built immersive VR experiences so customers could wander through virtual stores and learn more about the products on offer while also enjoying the opportunity to hang out with pandas or have virtual pillow fights. The company is known for its willingness to adopt new technologies to enhance customer experiences and the VR concept, while fairly limited, did the job. "Technology introduces greater convenience, ease, speed and often more variety," says Professor Adre Schreuder, Consulta. "These aspects are proven to be significant contributors to satisfaction, which ultimately leads to improved retention and loyalty. The great thing about technology is that it enables businesses to introduce these factors such as convenience at a reduced cost and with far greater efficiency. There are some great modern examples in this regard - Netflix, Apple Music, Steam, Amazon and so on. All of these entities have in some way redefined the typical operating model of their respective areas through the use of technology. And they've done it in such a way that it is as beneficial to their customers as it is to themselves." This article was first published in the September 2018 edition of ITWeb Brainstorm magazine. To read more, go to the Brainstorm website.